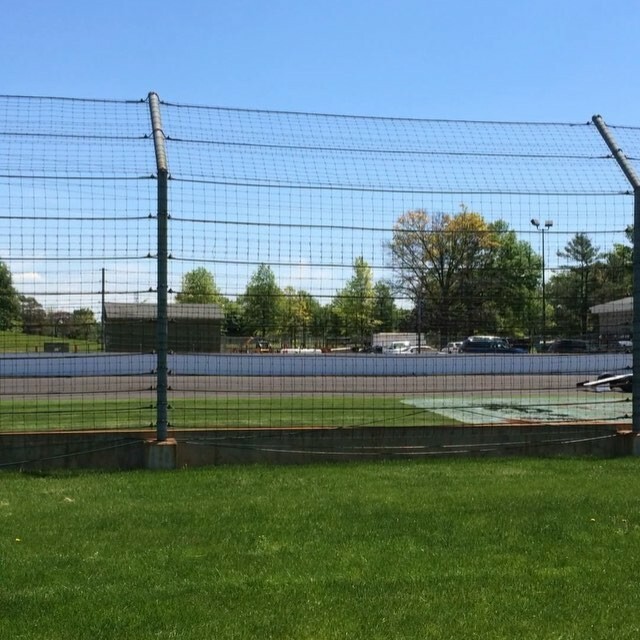 Post to twitter or instagram with #ThrowbackThursday to see it appear here! 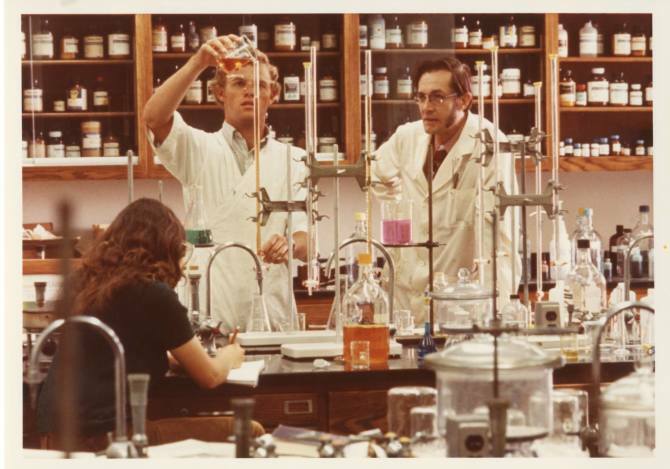 #ThrowbackThursday to chemistry professor, Vance Gritton, with his students in 1986. We hope you're following the construction footage for the new Center for Science and Technology on Chapman's website. It is set to open fall 2018 and we know exciting experiments will take place after it does. 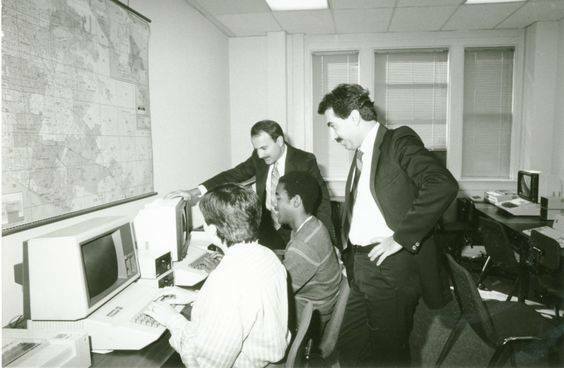 In light of yesterday's Economic Forecast Update, here is a #throwbackthursday to Dr. Doti and Essie Adibi working hard on the first Chapman forecast with a couple of students on some really spiffy computers. #ThrowbackThursday to Clara Irvin (Mrs.  C.C.) 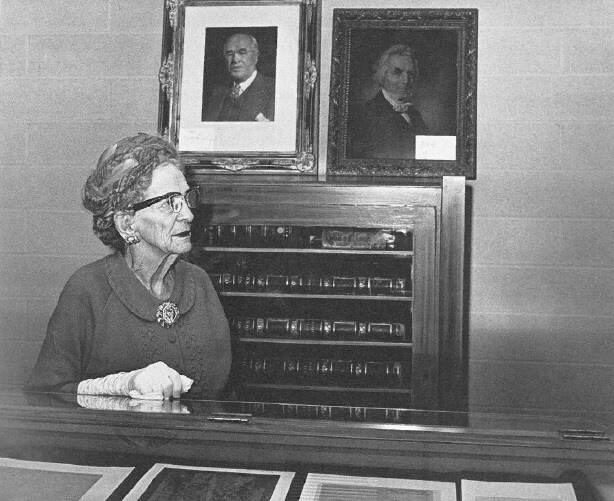 Chapman in the Chapman College Rare Book Collection in 1967. 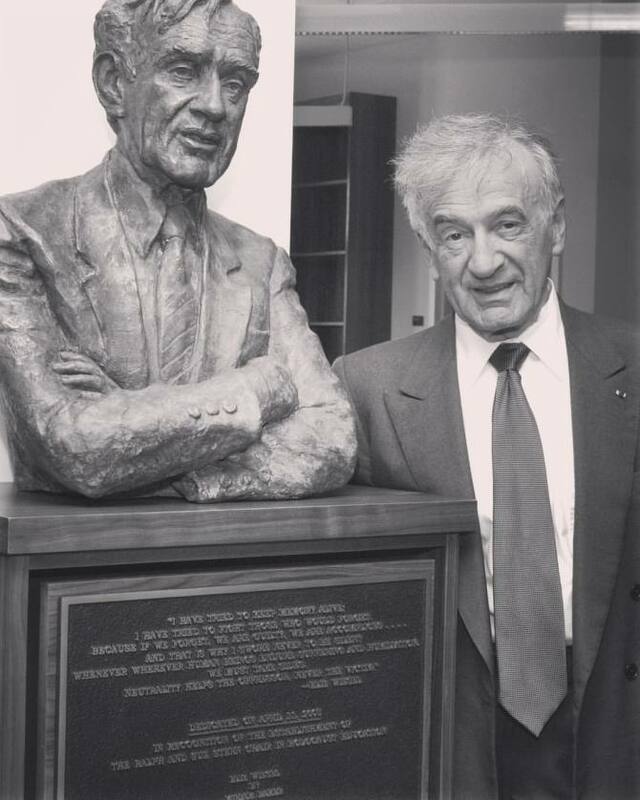 Portrait at left is C.C. Chapman and at right is Alexander Campbell, one of the founders of the Disciples of Christ. 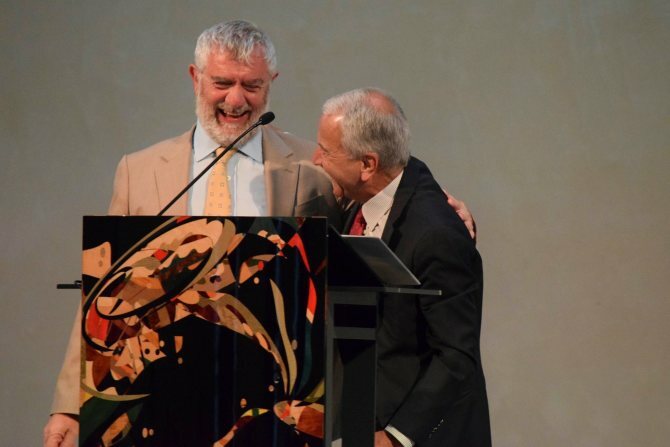 #ThrowbackThursday to the evening President Struppa was inducted into the Charles C. Chapman Legacy Society. We have uploaded some photos from the event to our Facebook album. Be sure to check them out! 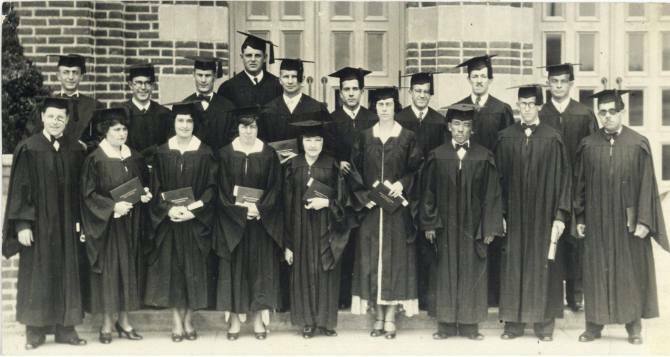 #ThrowbackThursday - The class of 1930 poses with their degrees. #ThrowbackThursday to graduation 10 years ago! Commencement for our 2017 graduates is just around the corner. National College Commitment Day is around the corner, and we can’t wait to officially welcome the Class of 2021! 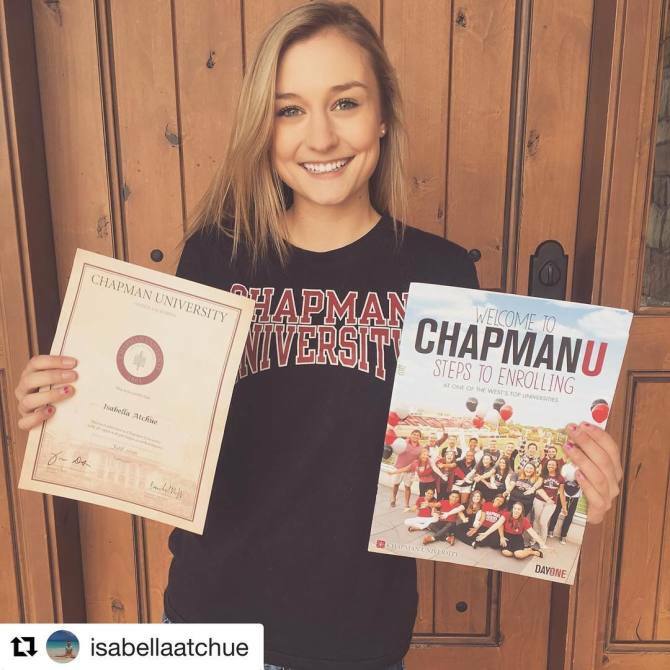 So this #ThrowbackThursday is one of the many Panthers who committed to #ChapmanU last year! #ThrowbackThursday to grateful graduate. 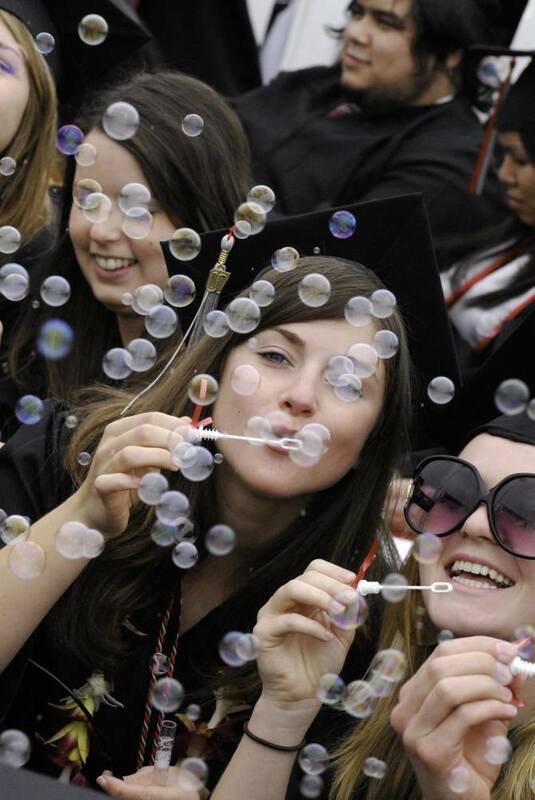 Chapman's commencement weekend is about a month away! 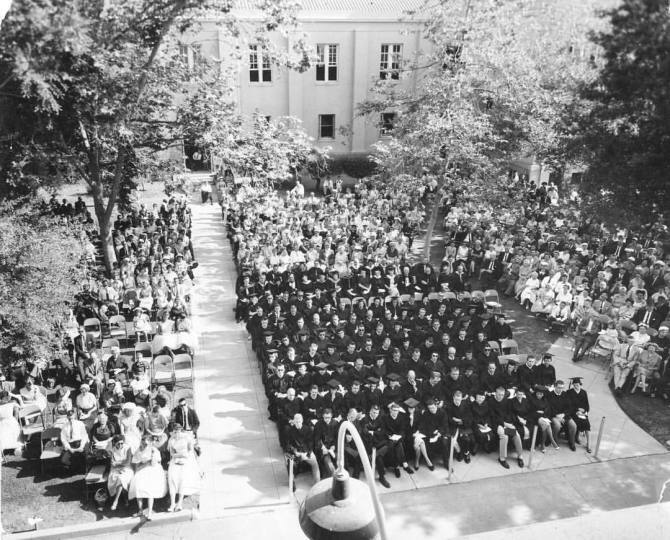 #ThrowbackThursday to a shady commencement in 1960. 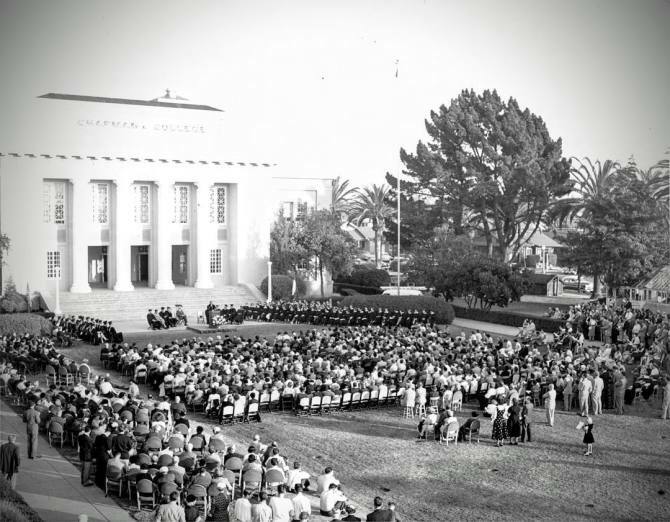 #ThrowbackThursday to the class of 1954 in Los Angeles, last year before the University moved to Orange. 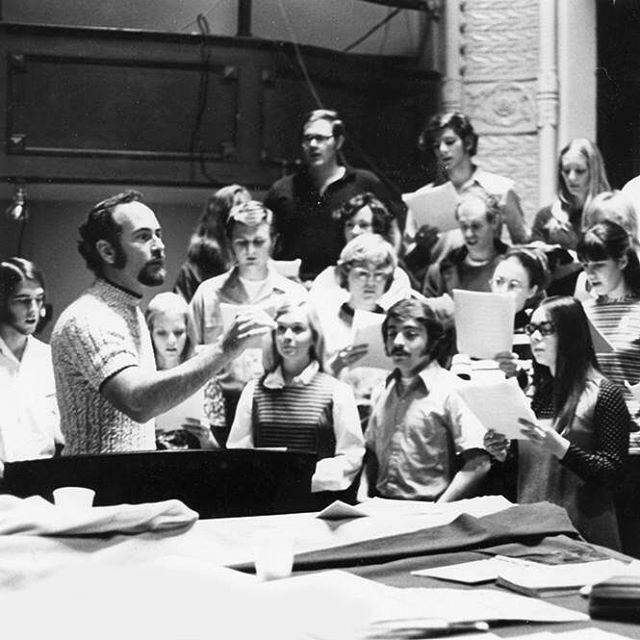 #ThrowbackThursday to one of our first interterm courses in 1971. 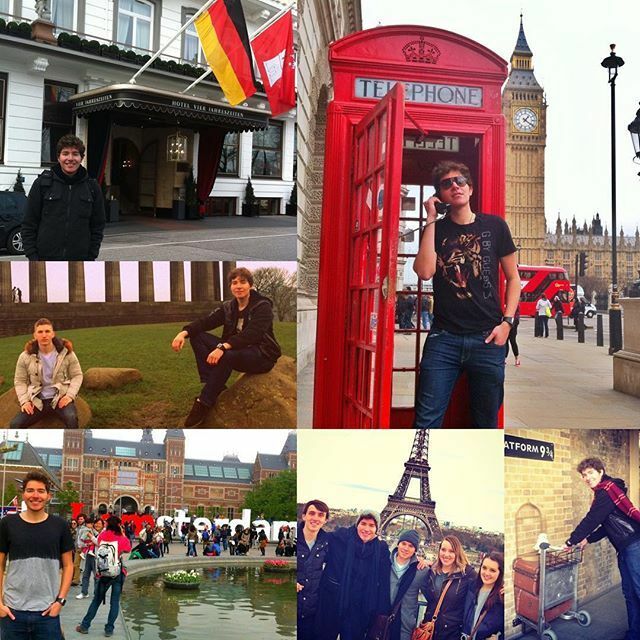 Where are you traveling this interterm? 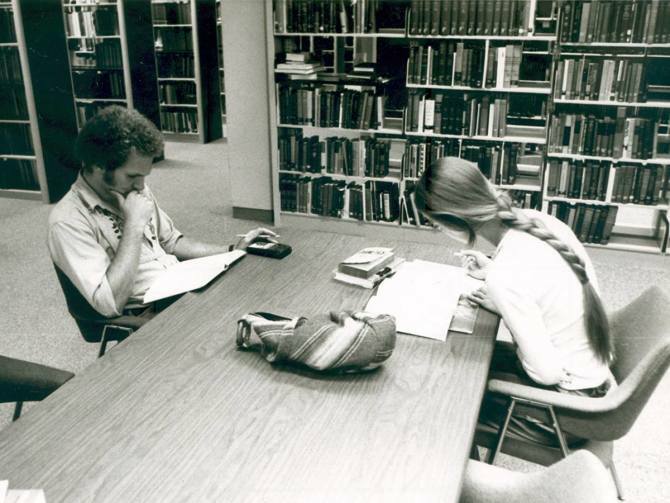 #ThrowbackThursday to students studying in the Thurmond Clarke Memorial Library in 1980. Leatherby Libraries has also been busy with students studying for finals. Good luck to those still taking exams next week! 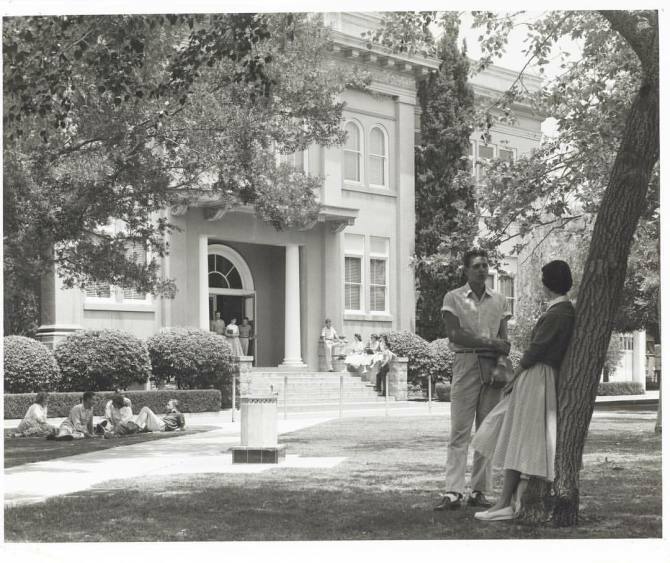 #ThrowbackThursday to students in front of Wilkinson Hall in 1958. It pays to show your Chapman pride! #ThrowbackThursday to this 2012 image of alumni and faculty in Hawaii. Four years later, the camera was found in Fall River and the Chapman pennant was the clue to finding the owner. 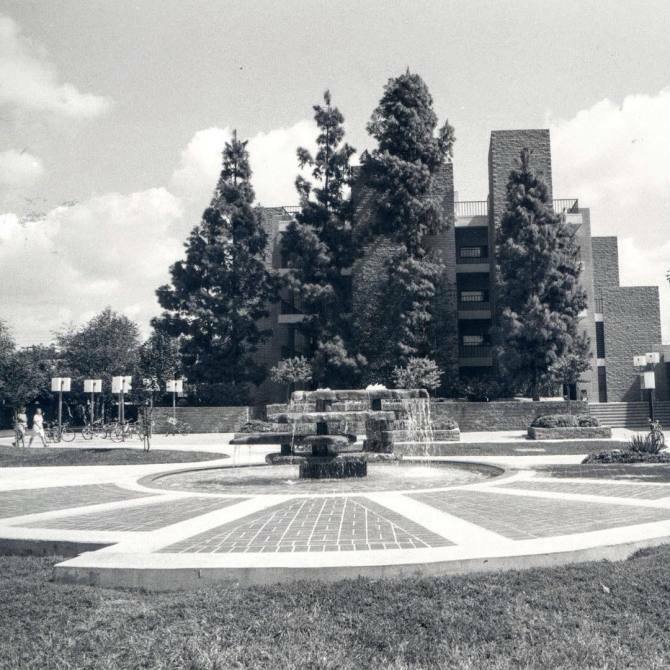 #ThrowbackThursday to Gentle Spring Fountain and "Hashinger Hall." A gift from Town & Gown in 1984, Gentle Spring Fountain is located in Chapman's Escalette Plaza. 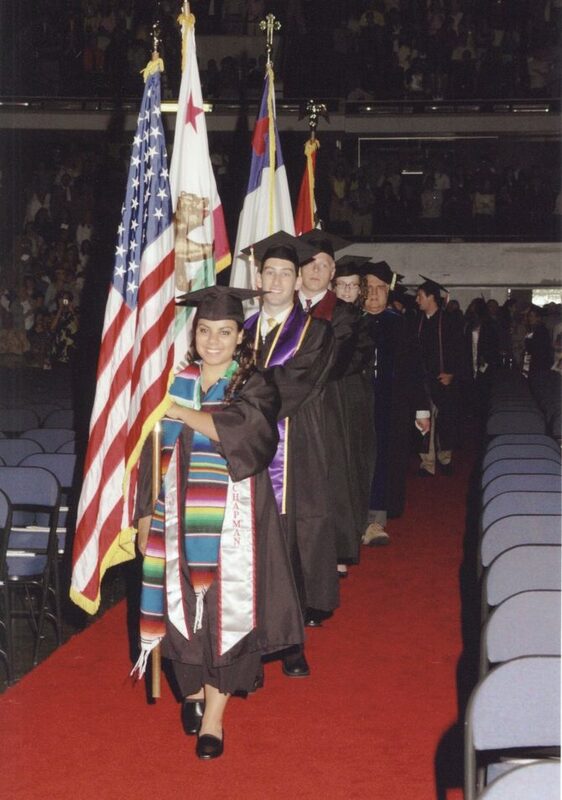 #ThrowbackThursday: Proud procession in 2006. A reunion for the class of 2006 will be held during the Chapman Family Homecoming Celebration! 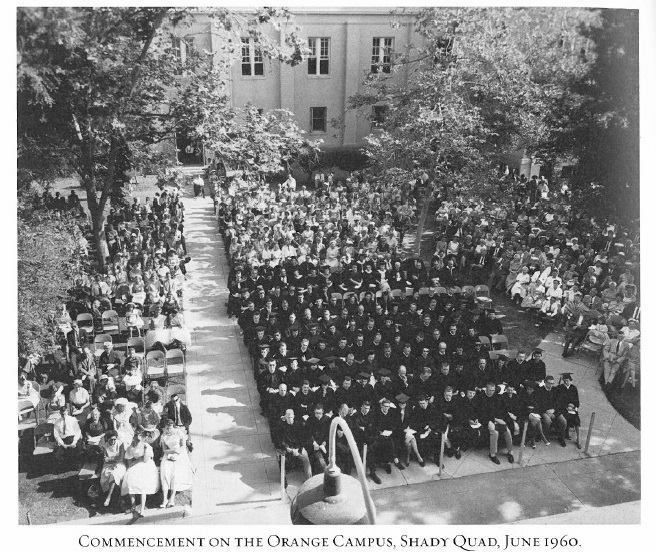 Visit www.chapman.edu/homecoming for details. 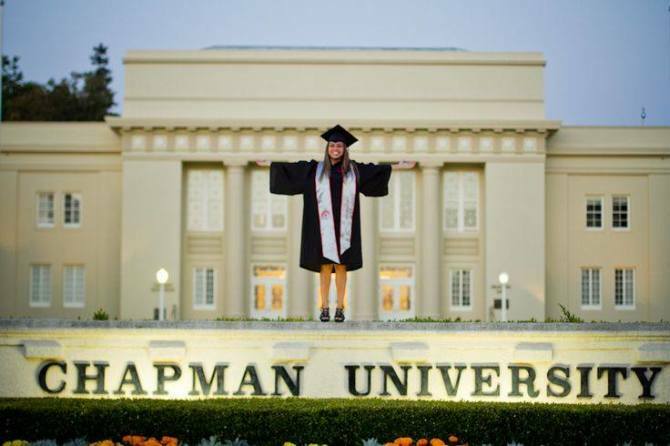 Chapman 2016 Commencement begins tomorrow! 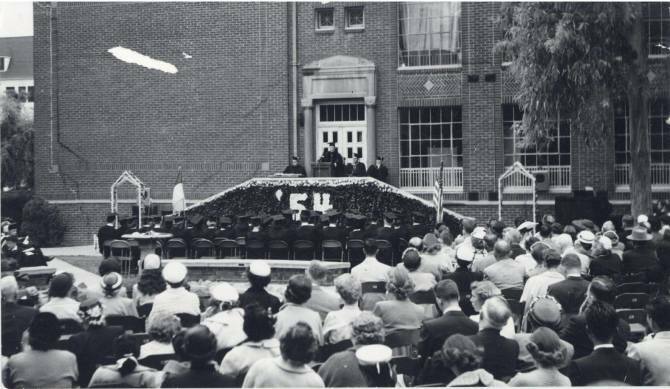 #ThrowbackThursday to the 1965 Commencement in the sunken lawn! Already graduated? Share your #tbt graduation photo in the comments. 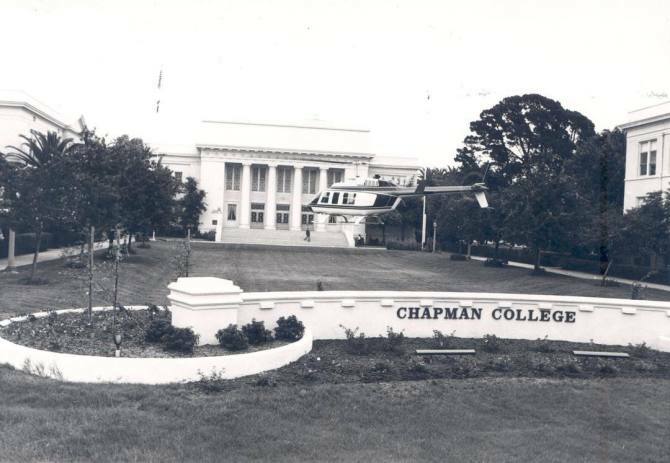 #ThrowbackThursday to the time a helicopter landed in front of Memorial Hall! 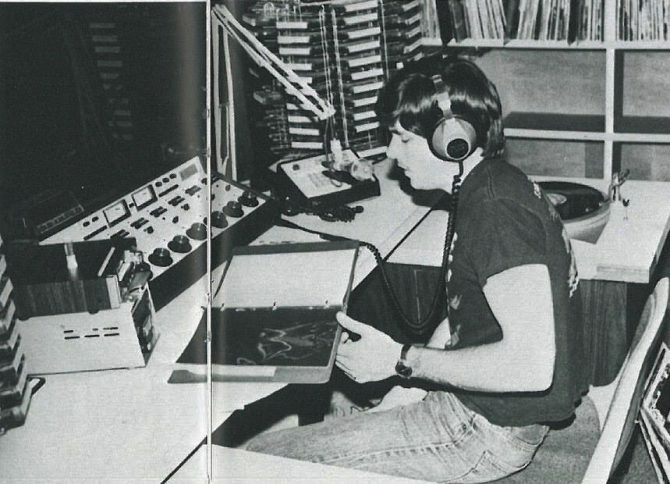 #ThrowbackThursday to students studying in 1980. This week, tables in the Leatherby Libraries have been filled with students preparing for finals. Good luck, Panthers! 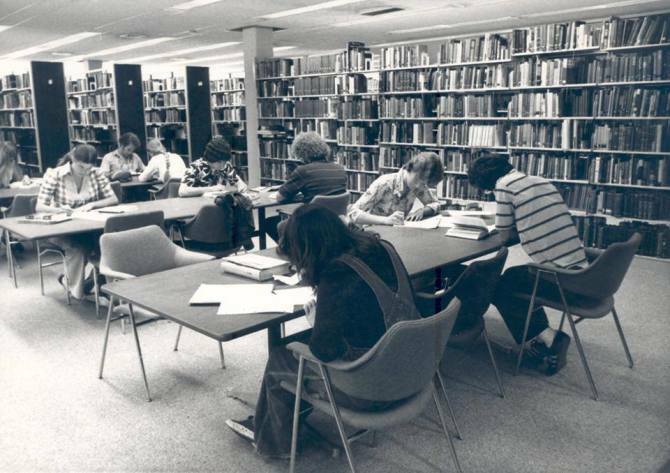 #ThrowbackThursday to students studying in the Thurmond Clarke Memorial Library in 1980. The Leatherby Libraries has also been busy the past few weeks with students studying for midterms. Good luck to those still taking exams! 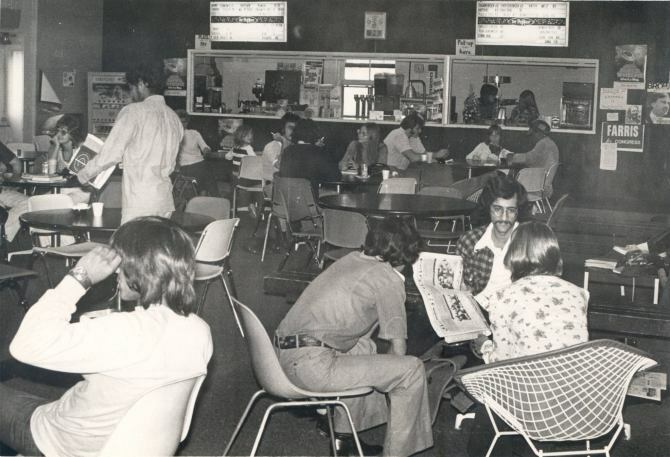 #ThrowbackThursday to the snack bar inside the old Student Union in 1975. 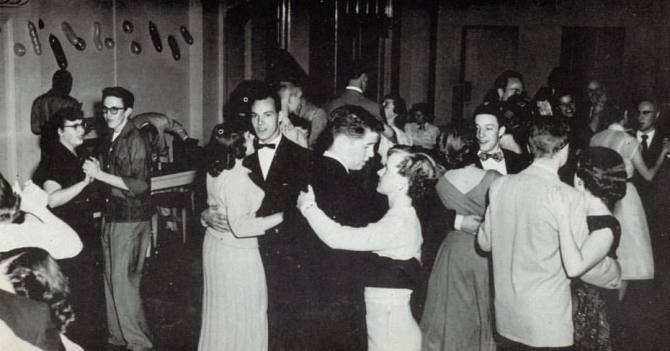 The Student Union has definitely changed since then, including the addition of Qdoba Mexican Grill and SubConnection! We also have a new Starbucks in Beckman Hall!